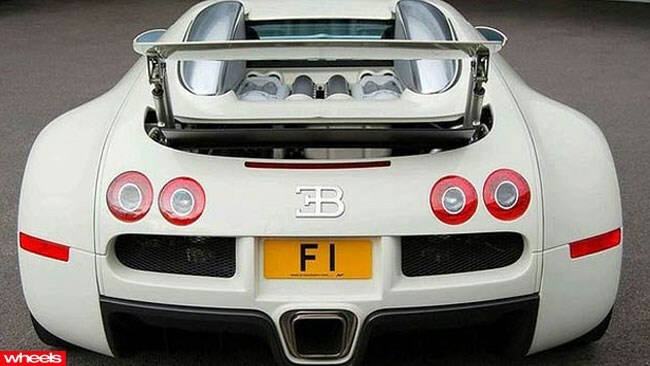 British car tuning guru Afzal Kahn claims he has turned down an offer of more than six million pounds ($10.4m) for his 'F1' registration plate. Currently attached to Khan's Bugatti Veyron supercar, the plate was purchased for a UK record price of 440,000 pounds ($762,000) in 2008. The 109-year-old registration was on a modest Volvo S80 at the time. Mr Khan had previously attached the F1 plate to his Mercedes SLR McLaren, and says he believes it is worth much more than the price offered.